This may seem like a strange subject to some of you. I’m about to tell you the story of a lawn chair. I’ve been known to write stories about pieces of furniture in my house. My favorite post is my first post for this blog, That Old Dining Room Table. Now back to my lawn chair story. This lawn chair is special. It’s a love seat, a two-seater. Have you ever see a chair like this one? Travel Man bought this chair when he and I had just started dating. I realize now he was showing me his romantic side, a “love seat”! He wanted to impress me and actually bought this as a practicality. We were going to a baseball tournament, and he wanted to be sure there was enough lawn chair seating for the entire family. I think the romantic side was an after thought. This old chair has been at so many parties, picnics and family beach parties I can’t even to begin to tell you how many times we used it with our tribe in tow. I’m sure there was a lot of baseball game cheering from this chair, and a ton of marshmallow roasting for s’mores. I even think there was an occasional attempt at a curled up kid on this chair trying to snag a nap. 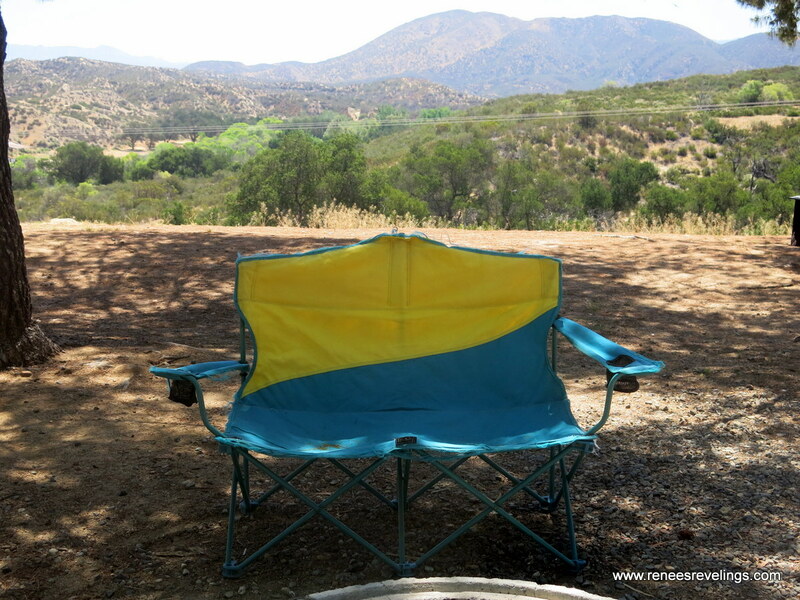 Travel Man and I went camping a few weeks ago and we usually have this chair by the fireside to sit on together. I do admit it is(was) a cozy little seat. We sat down to enjoy the fire together and the chair went BAM. The center support was breaking, and we were about to end up in the dirt. The next day we met some friendly campers, and tried to get them to keep the chair. Once they found out the history of the chair they couldn’t do it, they just couldn’t take the chair. This chair has been with the family for almost 14 years. That’s a lifetime for a chair! 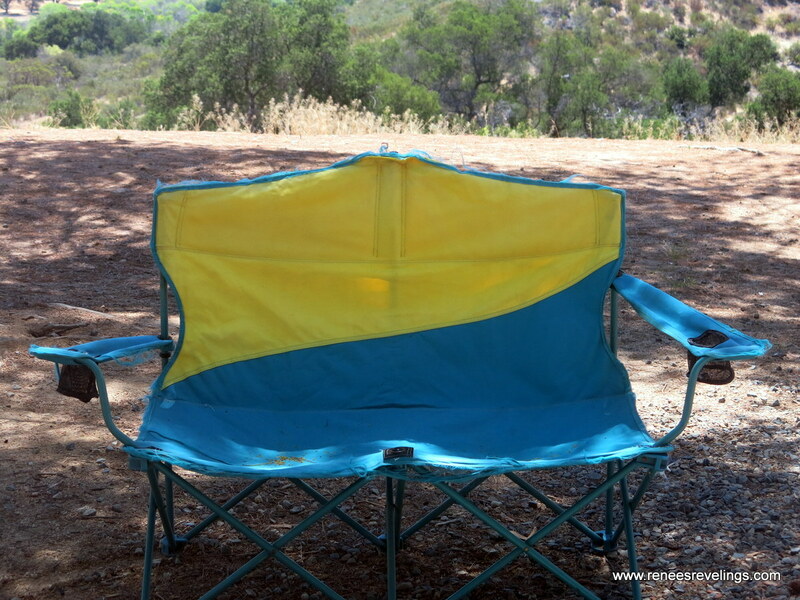 So on Monday when we were packing up our campsite we made the painful decision to trash the chair. We just left it sitting by the fireside, all by its lonesome. That way someone else could throw it in the dumpster, and it would not have to be us. Goodbye old friend. Maybe someone picked you up and we’ll see you at another campsite. If you see our chair when your out on the open road send me a note would you? This post is linked to the #MidLifeLuv Linky Party! 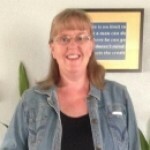 Click to find other great midlife bloggers! Who knows, it may bring another 14 years of pleasure to someone! One man’s trash is another man’s treasure! Great post! Funny thing about this post- after Travel Man read my story he said to me, “Maybe we shouldn’t have just abandoned the poor old chair like we did.” I had the same feeling too, but only for a fleeting moment. So glad you stopped in for a visit! This is why we have cameras on our phones…where’s the selfie of you guys hitting the ground??? It’s great to have the memories but I say move on and get yourselves a Mac Daddy chair from Frontgate!!! Hi there, nice to meet you at #MidLifeLuv Linky Party! Enjoyed your post – thank you. I guess all possessions have a life span and it sounds like the chair’s time was done. RIP. – it had a good life! Glad you stopped by for a visit today Gilly. It’s great linking up from the #MidLifeLuv. Funny thing is we’ve already been shopping for a new love seat. Thanks for stopping by for a visit. It’s so much fun linking up at #MidLifeLuv. I’m so sentimental this tugged at my heart! I completely understand attachment to a chair — all the history and moments that come along with it. It must have been hard to leave! Thanks for joining us at #MidLifeLuv. We’re very glad to get to know you and your blog! Actually we didn’t realize how hard it was to leave until I wrote this post. Then my husband and I both got a little sentimental.